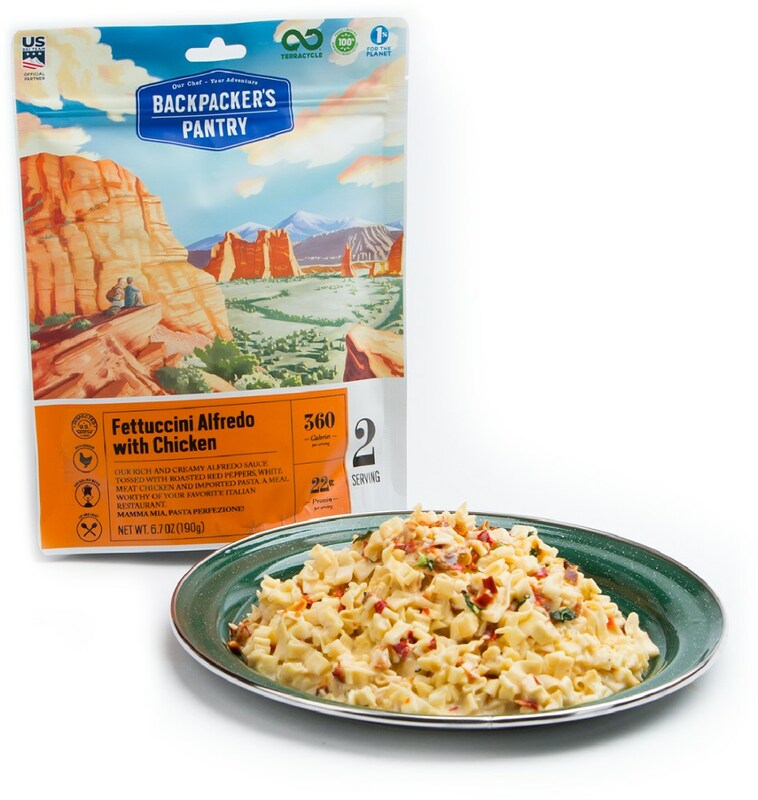 I’m a big fan of Wild Planet Tuna for backpacking lunches because of the excellent flavor, texture, ingredient list, and nutrition profile. Add to that, their sustainable fishing practices and it’s a winner. 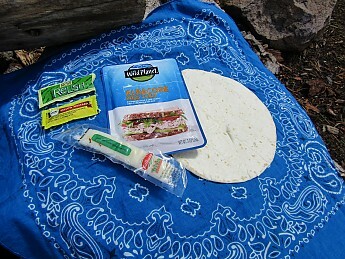 Tuna packets are a popular foundation for backpacker lunches, providing needed calories and protein. 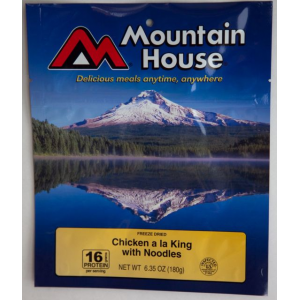 The Mylar packages are relatively convenient in the backcountry, being single serve and shelf stable. 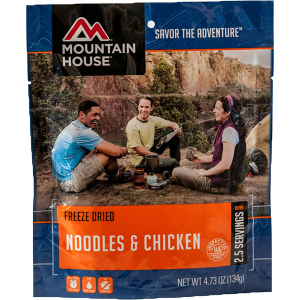 I’ve regarded them as a treat due to their weight, but as I’ve tired of other lunch options they have become a more important component for one reason. 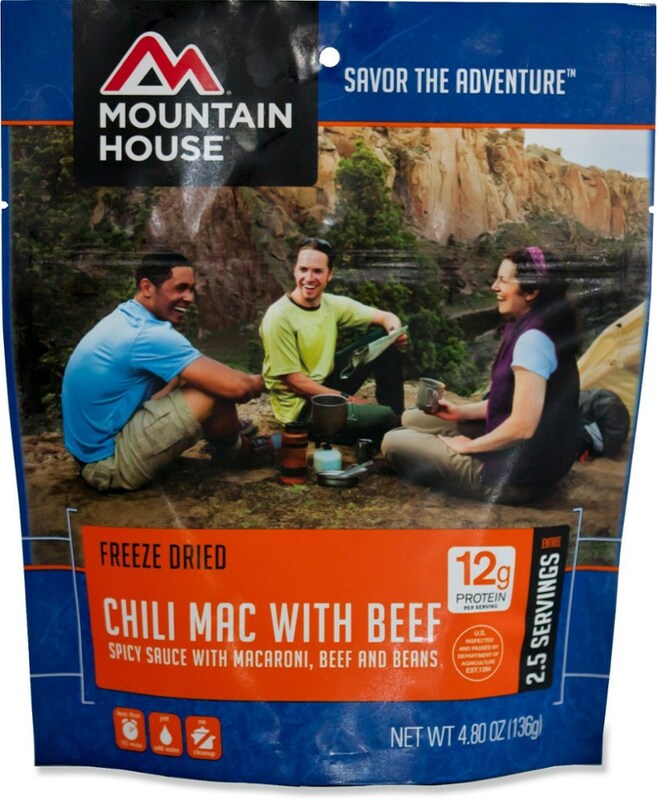 They taste like real food. 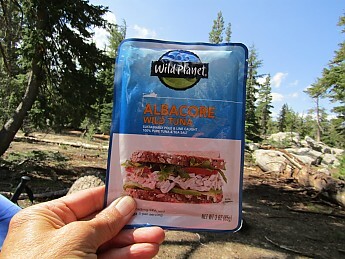 Therefore, when I received the opportunity to taste test Wild Planet tuna and other seafood products I was intrigued. I’m always searching for alternatives to my usual choices if I can find products that are better in terms of flavor, nutrition, ingredients, or impact on the environment. Wild Planet satisfied all of those components when compared to my usual choices. 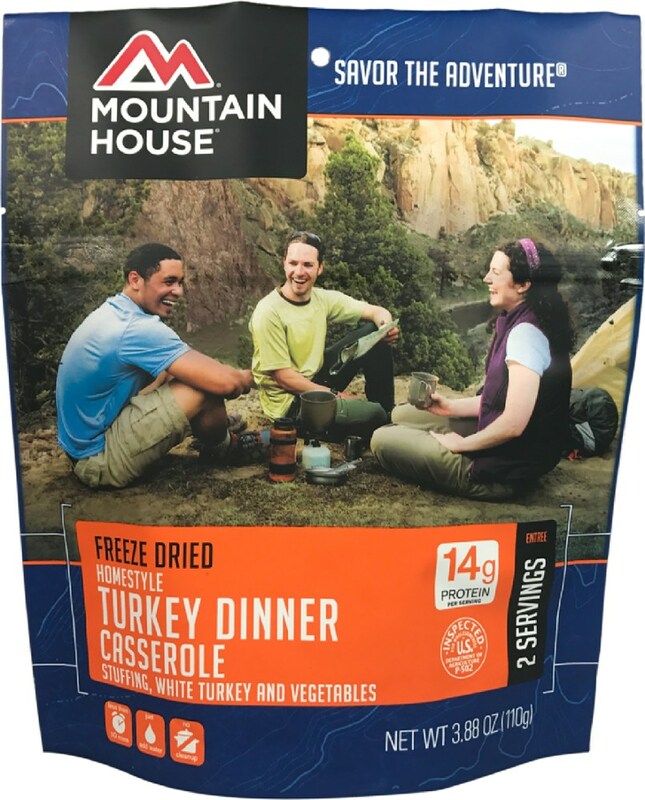 I tested the tuna in individual pouches when I hiked the Pacific Crest Trail section between Tahoe and Yosemite this summer. 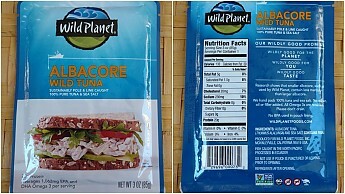 The Wild Planet tuna package looked very similar to the packets you find in any supermarket. The supermarket brands generally come from three large, well-known companies, all of which are part of gigantic global brands. 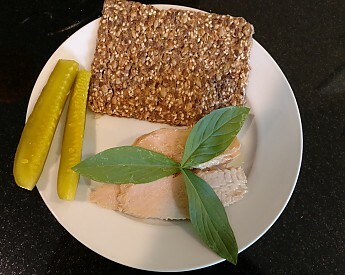 Because the tuna does not contain any other ingredients except salt, I brought different flavorings such as lemon pepper, pickle relish, or mustard packs. Wild Planet fish is 100% pole and troll caught (no purse seine or long line fishing), an artisanal small-scale fishing method. Pole and troll fishing has been rated the best catch method for sustainability by a consensus of eco-organizations including The Monterey Bay Aquarium Seafood Watch Program, Greenpeace, and Fishwise. Although I requested to test the tuna, I also received a number of other Wild Planet seafood products. This was good news for me because when I’m not out in the field, I often enjoy canned seafood for lunch with fresh tomatoes and basil from my garden. I love sardines and found the Wild Planet sardines to be of excellent quality, with good sized, mild-flavored fish that, like the tuna, was noticeably firmer than other brands I’ve tried. The wild yellowtail in olive oil was outstanding. While the cans are too heavy for backpacking, we often include sardines, and will now include yellowtail, in our long distance canoeing trips or for car camping. 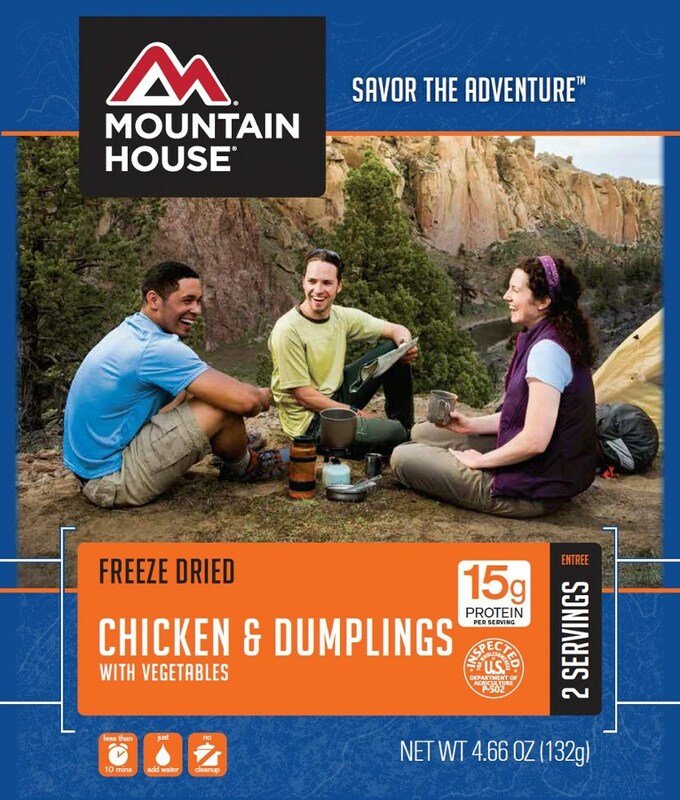 I’m a big fan of Wild Planet seafood because of the excellent flavor, texture, ingredient list, and nutrition profile. Add to that, their sustainable fishing practices and it’s a winner. 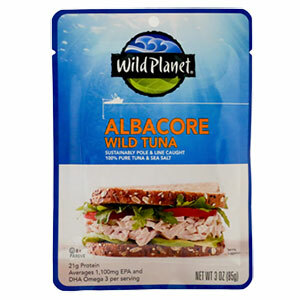 The Wild Planet Albacore Wild Tuna is not available from the stores we monitor.